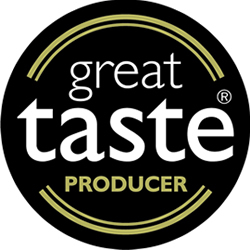 Two stunning products recently awarded Gold Stars at the Guild of Fine Food Retailers. 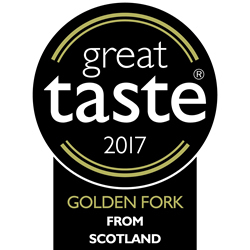 This year we are especially proud to have received the Golden fork award for Scottish Producer of the year 2017. Our Smoked Salmon received two stars and our Trout received three. There were over 12,366 entrants all of which were blind tasted by a panel of judges. It took five months to complete the judging. ONLY 135 products were awarded 3 stars. A good bite, a beautiful level of smoking, the fish comes through - earthy and so well treated. The overall palate is simply stunning. Well judged on the smoke which is spot on. Our smoked slamon and trout have at least 20% off and there are some wonderful, buy now while stocks last options too. Just select from the categories below and see if your favourite treats are all the luxury for a little less this Autumn. Remember the SALE ends on 30th September so don't delay take a moment to choose a treat from our list of wonderful offers.